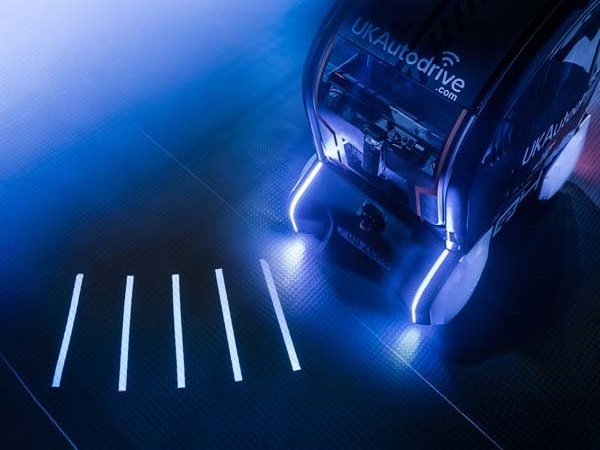 Engineers at Jaguar Land Rover have developed a system for self-driving vehicles which projects to other road users what its next intentions are. 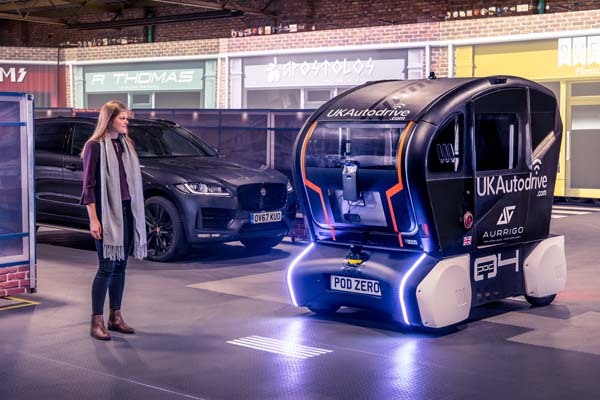 The research project into how people can develop their trust in autonomous vehicles, sees the pod beam a number of projections on the road showing what it will do next, such as it coming to a halt or turning left. Tested on the autonomous pods developed by Aurrigo, each one has a series of bars with adjustable spacing. The gaps shorten as the pod is preparing to brake before fully compressing as it comes to a stop. Accelerating away causes the spacing between the bars to increase, before fanning right or left to indicate which way the vehicle will turn. 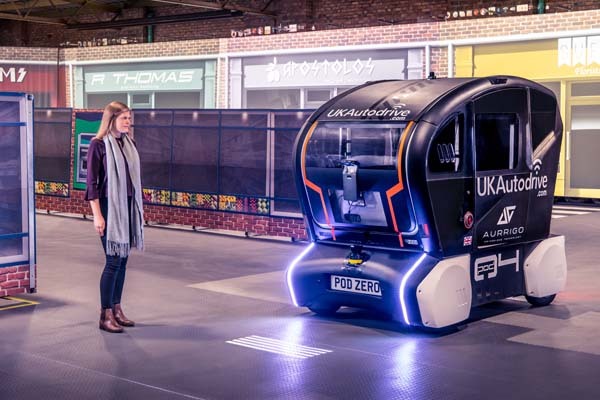 The new system was tested on the same fabricated street scene used to test the virtual eyes intelligent pods, with engineers on site to record the feedback from pedestrians. 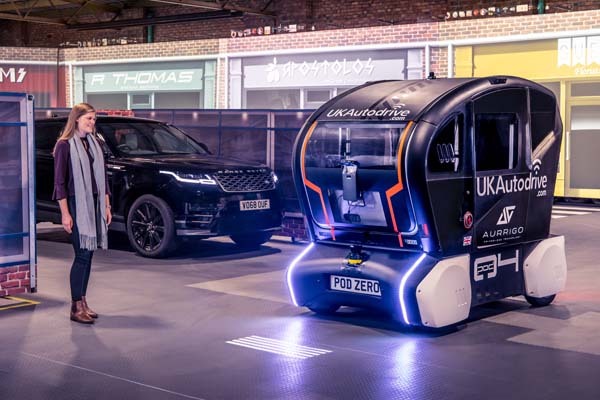 Jaguar Land Rover’s Future Mobility team set up the trials alongside cognitive psychologists to answer the fear that 41 percent of drivers and pedestrians have expressed in studies about sharing the road with autonomous vehicles.